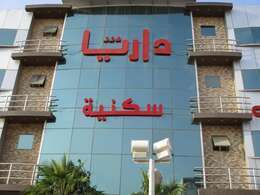 The Headquarter of General Authority of Zakat & Tax located in Dabab Street, Al Morabaa District, Riyadh. It was established in 1370 H and it is a government agency that reports to Ministry of Finance. The Department has several responsibilities as follows: Assess and collect zakat duty from Saudis and citizens of member states in the Gulf Cooperative Council, in accordance with relevant regulations, assess and collect tax from persons subject to tax including persons working in the fields of oil and gas investment according to relevant laws and regulations, set-up and implement procedures to follow up on delinquent taxpayers and take necessary actions to ensure their compliance, provide fair treatment to taxpayers and improve their voluntary compliance, issue statistical reports on the Department's operations and taxpayers and submit an annual report on revenues and expenditures, actual and projected, to competent authorities.